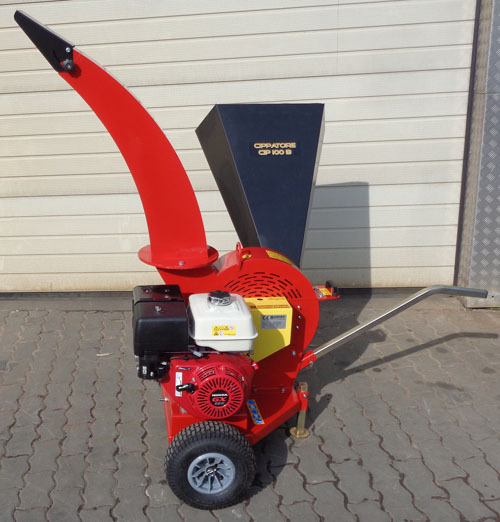 2.500,00 EUR 19 % VAT incl. 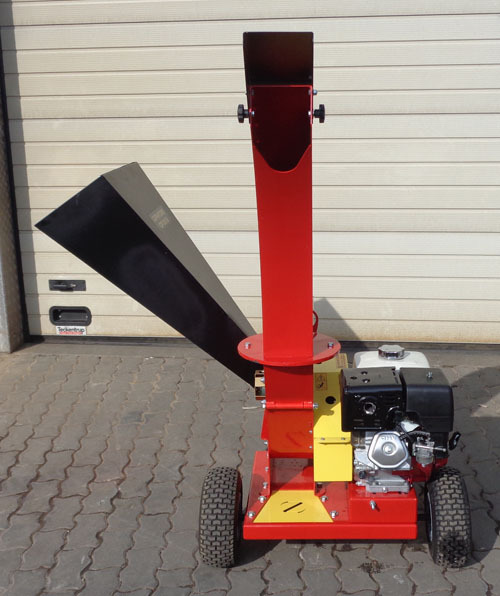 This wood chipper CIP-100B is equipped with a hammer shredder unit and a cutting disc. 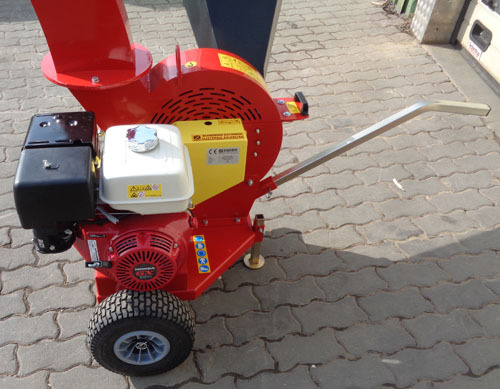 With the cutting disc, you can shred branches up to a thickness of 85 mm. 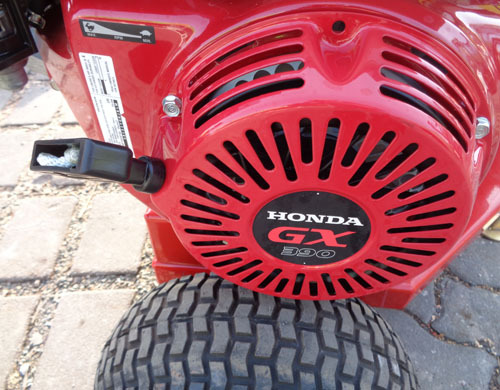 • Engine: 9,6 kW/13,0 PS gasoline Hondaengine GX390 with 3600 rpm. 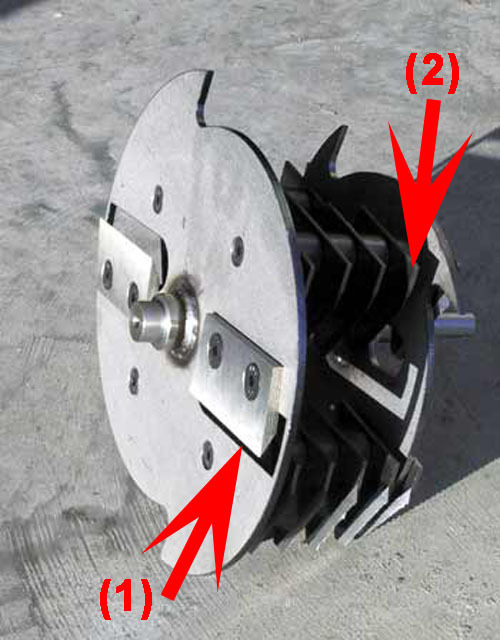 The movable hammer-blades are mounted on a shaft, thus, these blades are folded back if there is an obstacles. 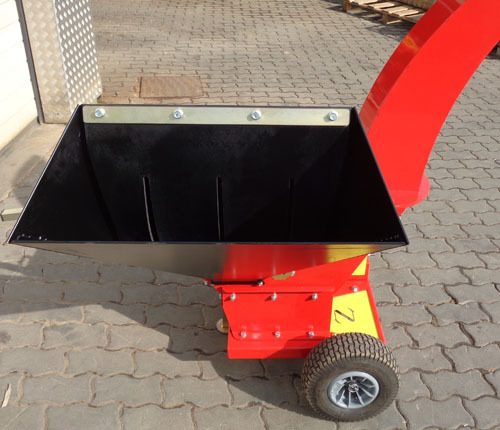 This reduces wear. Power is transmitted via V-belt. 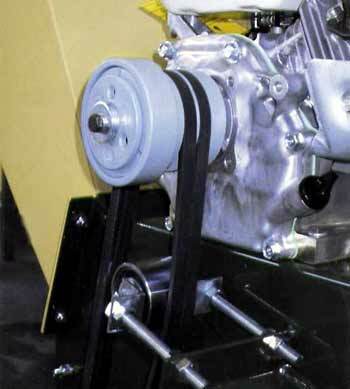 The V-belt is permanently streched by a tension pulley.